The NASCAR season is just around the corner. The drivers are fired up and they cant wait to start their engines. If you're as fired up as they are, you probably want to plan your season as well. 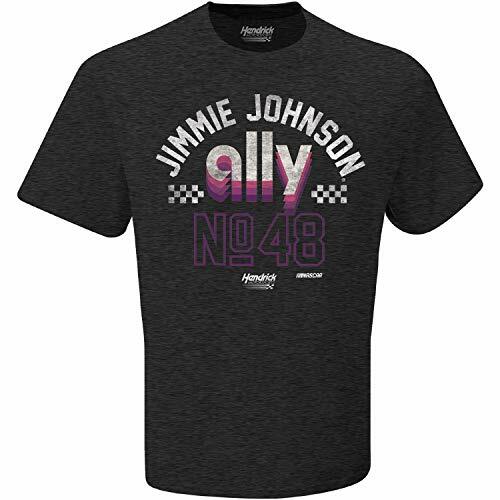 This 2019 schedule tee from Checkered flag is the perfect solution. You can look great and be a wealth of information to your fellow race fans. 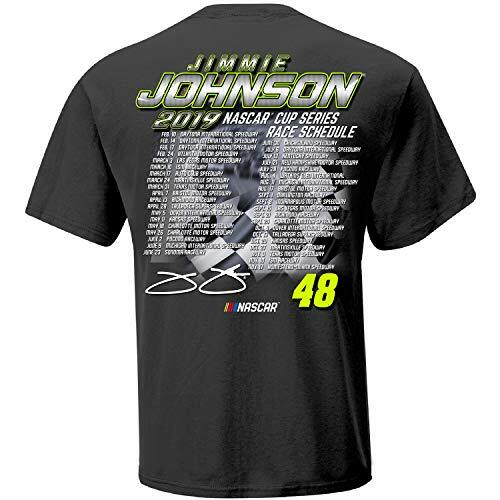 Made from 100% cotton and featuring the 2019 NASCAR Cup Series race schedule, this shirt is dual threat of style and information. As always all of our gear is Officially Licensed by NASCAR. The NASCAR season is just around the corner. The drivers are fired up and they cant wait to start their engines. If you're as fired up as they are, you probably want to plan your season as well. This 2019 Vintage Retro tee from Checkered flag is the perfect solution. You can look great and be comfortable with the Super Soft 60% Cotton/40% Poly blend. Featuring your favorite driver name, number and sponsor. As always all of our gear is Officially Licensed by NASCAR. The NASCAR season is just around the corner. The drivers are fired up and they cant wait to start their engines. If you're as fired up as they are, you probably want to plan your season as well. This 2019 Cotton Tee from Checkered flag is the perfect solution. You can look great and be comfortable with this 100% Cotton tee. Featuring your favorite driver name, number and sponsor. As always all of our gear is Officially Licensed by NASCAR. 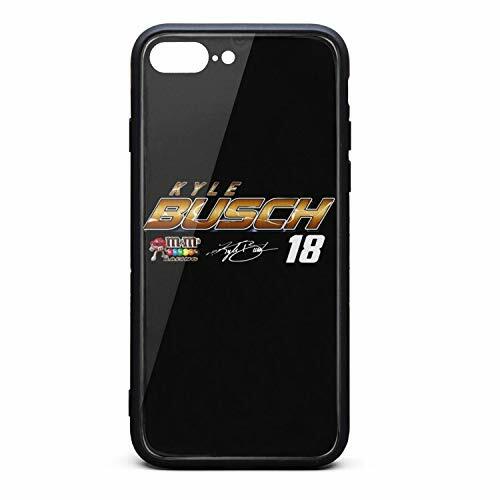 For the first to ever, six-time champion in the NASCAR Sprint Cup Series, and driver of the No. 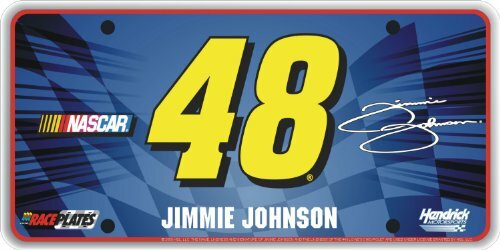 48 Chevrolet SS for Hendrick Motorsports, Jimmie Johnson is available as a.Lifesize Stand-up. The Jimmie Johnson Lifesize Cutout stands nearly 6 feet tall. It's realistic appearance makes it great for man caves, parties, tailgating or for collectors. This lifesize cutout is made of heavy-duty corrugated cardboard with a high-quality image, made in the USA and officially licensed by Nascar. An easel is attached so the cutout will be free-standing. The NASCAR season is just around the corner. The drivers are fired up and they cant wait to start their engines. If you're as fired up as they are, you probably want to plan your season as well. 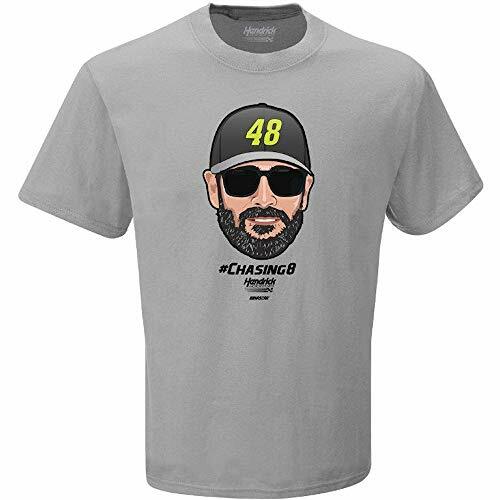 This Driver Emoji Tee from Checkered flag is the perfect solution. 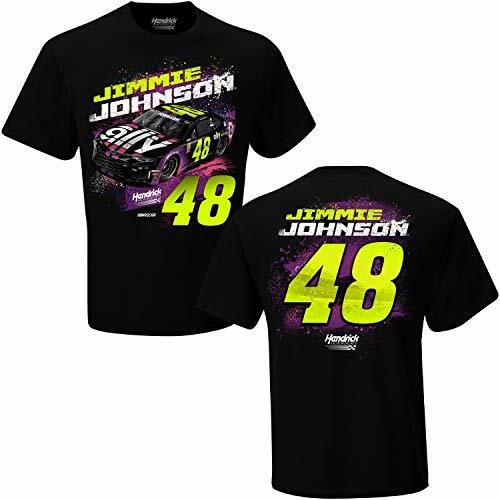 You can look great and be hip with your fellow race fans. Made from 100% cotton and featuring the individual driver emojis, this shirt is dual threat of style and information. As always all of our gear is Officially Licensed by NASCAR. Fully reflective aluminum license plate, officially licensed by NASCAR and race teams. 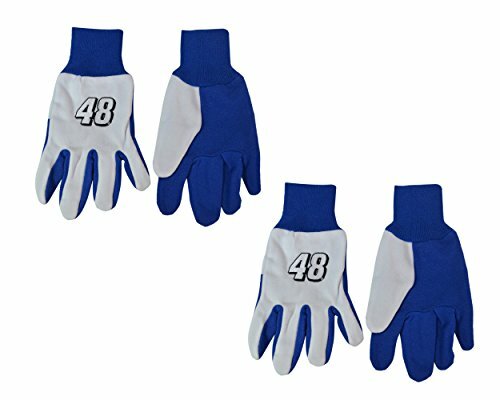 Fly the colors of your favorite driver or team on your vehicle or on your wall. These plates look great wherever they are placed. Aluminum plates with bright digital graphics printed on 3M reflective, the protective coated to prevent fading and chipping, same as state registration plates. Highly reflective material virtually lights up at night. 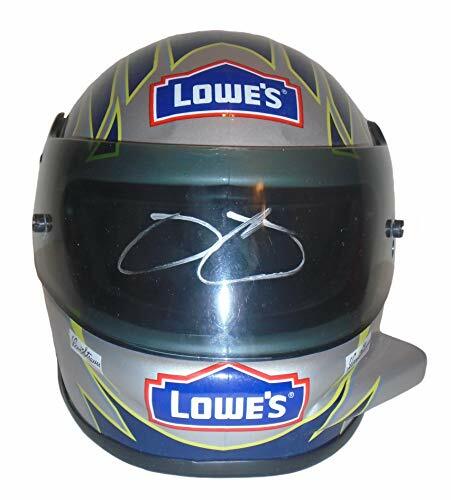 Exploring the Lives and Careers of Best Driver Espy Award Winners in the 2000 Decade Including Jimmie Johnson, Jeff Gordon, and Dale Earnhardt, Jr.
Shopping Results for "Jimmie Johnson Driver Series"